Is there anything more comfortable than sitting by the fireplace, curled	up on the sofa with a good book? The look and feel of a cozy fireplace	can be yours, thanks to Parent Heating & Cooling. 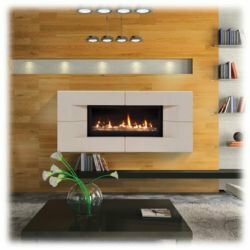 We are highly experienced	in performing service and repair on virtually any make or model of fireplace	in your home. We also offer a stunning array of fireplace options to enhance	the beauty and warmth of any home. 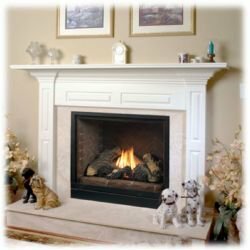 For high-quality fireplace maintenance,	fireplace repair, or fireplace installation in Ottawa, ON, and surrounding	areas, Parent Heating & Cooling is here for you! Could your fireplace use a seasonal tune-up? The team at Parent Heating	& Cooling can help! 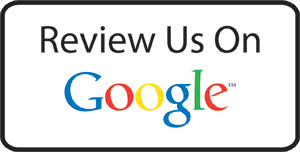 We proudly serve clients all over Ottawa in need	of expert-level	fireplace maintenance and repair. Our technicians are well-versed in all aspects of fireplace repair, and	can quickly assess and diagnose the source of the problem for a quality,	lasting fix. You can also count on Parent Heating & Cooling to provide	gold-standard fireplace maintenance services to keep your fireplace in	tip-top shape through the years. If your home could use a little extra touch to make it extra cozy, why	not consider installing a fireplace? 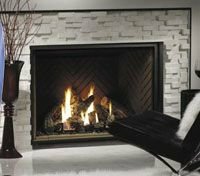 Parent Heating & Cooling offers	a variety of fireplace solutions to complement the natural lines and decor	of virtually any living space. The Belmont BLDV direct vent fireplace system from Monessen offers a stunning	clean-face design with no louvers, providing an expansive fire-viewing	area that offers optimal warmth and beauty. 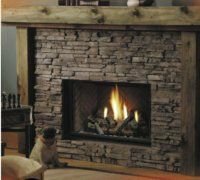 Available with traditional	logs and black porcelain liner, a variety of firebrick options, or with	our stone-and-glass or glass burner alternatives, the Belmont is the perfect	addition to any modern living space. The Belmont series comes with Signature Command™ System, which provides	one-of-a-kind A/C with battery backup for available fireplace operation,	even in a power outage. Additionally, the Signature Command™ System	has no standing pilot using gas when your fireplace is off, making the	Belmont from Monessen a choice that is as energy efficient as it is beautiful. 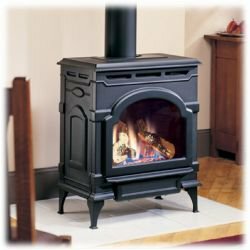 Add the traditional look and warmth of a cast iron stove to any room with	our wide selection of direct vent stoves from Monessen. These stoves combine	the heritage appeal of fine craftsmanship with the convenience of contemporary	technology to ensure optimal functionality and timeless beauty. The perfect addition to any room, this beautiful stove combines the elegance	of a woodburning stove with the modern convenience of natural gas. The	solid cast iron construction features our radiant ceramic burner system	with a large glass viewing area, allowing maximum coziness and warmth	to radiate through any room in your home. Styled to complement any modern décor, this contemporary addition	to the Monessen direct vent fireplace family offers an incredibly wide	viewing area, while the compact design allows for easy installation in	just about any space. The Serenade’s distinctive bronze glass beads and natural stone kit	create an ambiance of modern tranquility and work well with a sleek interior	design style. With a BTU range of 23,000 to 34,000 and standard Signature	Command™ System remote control, the Serenade fireplace from Monessen	is the perfect fit for today’s contemporary home.